As a dentist, I enjoy improving a patient’s smile and overall oral health. 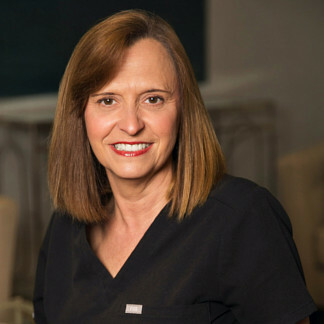 I strive to provide quality dental care in a relaxed and friendly environment using state-of-the-art dental technology and techniques. It is a privilege to have a direct impact on my patients’ quality of life, overall health, and well-being. It makes my work very meaningful and inspires me to do my best for each person I meet. I am a proud, lifelong resident of Mississippi, having graduated from Senatobia High School before starting my formal education. I received a Bachelor of Science in chemistry from Delta State University, and continued on to dental school to pursue my dream of becoming a dentist. I earned my Doctorate of Dental Medicine from the University of Mississippi School of Dentistry and completed a residency in general practice at the University of Mississippi Medical Center. In order to stay at the top of my field when it comes to dental technology, treatment options, and innovations, I stay involved with the greater dental community. I am an active member of the American Dental Association, Mississippi Dental Association, and Mississippi District IV Dental Society. I am also a former clinical instructor at the University of Mississippi School of Dentistry. When I’m not in the office, I enjoy playing golf and spending time with my husband Sam and two sons, Brandon and Patrick.